A few years ago I screwed up. I forgot my hunting license! That mistake cost me 5 hours and got me to our cabin in the dark. Ever since that trip, I use a checklist every time I go hunting. Have a hunting trip coming up? Don’t make the same mistake I did. You may not realize which essential piece of gear you forgot until you reach your destination. With so much gear to remember, it is almost impossible not to forget something unless you use a list. 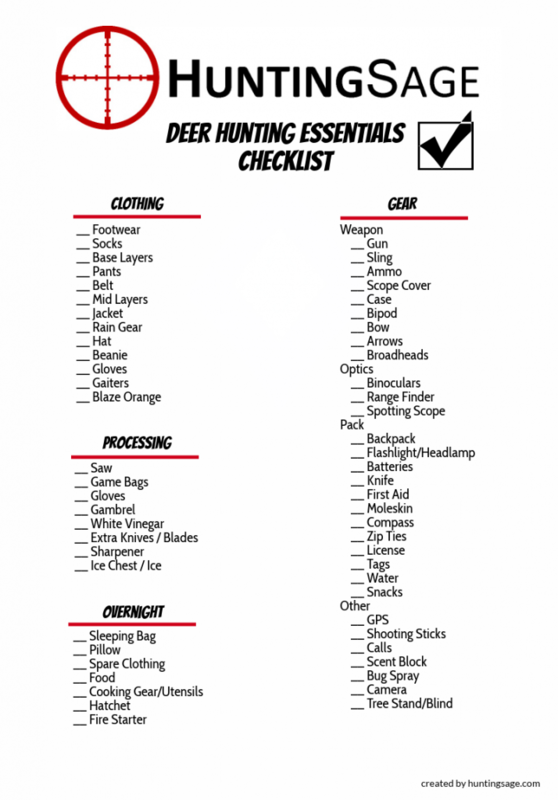 I have created the printable pdf checklist below to help you prepare for your next hunt and make sure you don’t make the mistake of forgetting something. There are multiple checklists so you can select the ones which apply to you the best. If you would like a customized version feel free to email us and we would be happy to make one for you. The first checklist is what I consider the must-have essentials to hunt deer. Some might argue a few items are unnecessary or that something is missing but so far this list has served me well. Obviously some items will depend on the climate in which you are hunting. You might find it helpful to store a lot of this gear in a plastic container in your garage and label it as your deer hunting kit. Links to gear guides are included in case you would like some help selecting specific pieces of gear. License – Don’t forget this! This list is going to be highly dependent upon your specific hunting situation. The processing gear needed on a backcountry backpacking hunt is going to be different than what you need on a guided trip on a ranch etc. 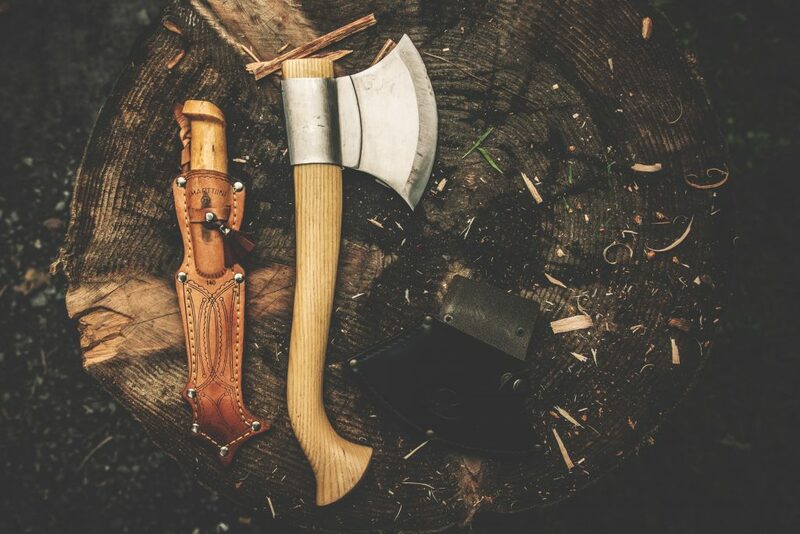 What is the hunter’s most important piece of equipment? Survival is always priority one. I will say water, navigation skills (know how to work your GPS! ), and good footwear. How do I keep my backpack from getting too heavy? Only bring what you absolutely need! It is very common, especially for new hunters, to fill their pack with the latest and greatest gadgets. Experience has taught me what I need and what I don’t. What food/snacks are the best to bring? I like cliff bars, power bars, trail mix, jerky and PB2 packets. What you want is something that is calorie dense and doesn’t add a lot of weight to your pack. Do you have a backpack checklist?